Hi, where to set the PDF form to automatically email once a form has been submitted? 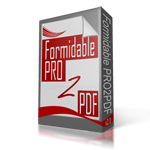 PDF’s are attached to Formidable Form’s email actions. You can select/deselect which email actions the PDF is attached to from the “Attach file to Email notifications” field on the PRO2PDF field map layout.